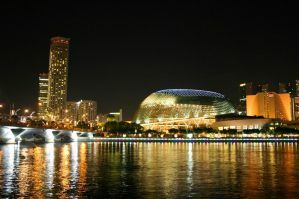 Singapore is a popular starting or ending point for a Southeast Asia trip. There is a large international airport which makes it a convenient place to begin or end your trip. Many backpackers enjoy the modern glitz and the fun nightlife after spending several weeks or months on the road. If you're looking for a great hostel to meet other travelers, have some fun, and relax, then any of these hostels are a great pick. Singapore's nightlife is fun and diverse, and you'll find no shortage of activities or entertainment. You'll also find many enthusiastic travelers looking to head out on the town as well. How much do hostels in Singapore cost? 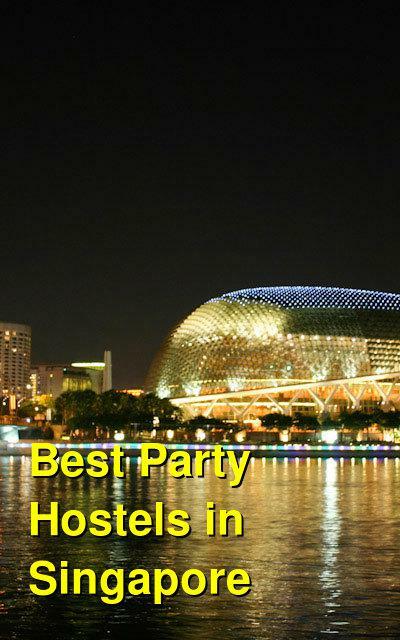 The Prince of Wales is one of the most popular backpacker hostels in Singapore. They have multiple locations around town. It's a popular destination for European travelers on the "gap year". There's an onsite bar and restaurant that is a popular place to hang out. They often have live music and discounted food and drinks if you're a guest of the hostel. The atmosphere is generally relaxed and fun and the staff is friendly and welcoming. They're also knowledgeable on the area and are quick to recommend things to do and see. There are also many amenities available to guests. These include a pool table, wi-fi/internet, free breakfast, free lockers, comfortable beds, laundry facilities, and multiple televisions. The hostel offers dorm rooms, shared bathrooms, and comfortable beds. This is great place to stay whether you're traveling with a small group or all by yourself. This hostel has a great social atmosphere and is a good option if you're looking to meet fellow travelers. The staff and guests are generally friendly and open to socializing. Whether you're looking for someone to go out on the town with, or just want to have a mellow afternoon in, you'll have no trouble finding companionship. The staff is also very knowledgeable on things to do in and around Singapore so don't hesitate to ask. The beds are also quite comfortable and there is a reading lamp available to every guest. Air conditioning is available in every room and there are shared bathrooms with plenty of hot water in the showers. The dorms range in size from 6 to 12 beds and there are private rooms available as well. Guests have access to free internet and there are three public computers you can also use. Complimentary breakfast is served every morning. It includes fruit and toast with jam. There's also an expresso machine available to guests. This is the perfect place to stay if you're looking to meet new people and have a good time. Whether you're just starting your trip, or it's coming to an end, this is a great place to pass a few days. This hostel is designed and created by backpackers so they know exactly what you're looking for. It's a new facility in a great location and was only recently opened in October of 2012. You'll enjoy all kinds of perks staying here including a free drink every night, no curfew, and a short five minute walk to the subway. They host all kinds of events including local food tastings and social activities. It's also a clean place to stay with comfortable beds. The owners have worked hard to include plenty of communal space so you can meet and interact with other travelers. The rooms are relatively large and there is plenty of lighting and personal space as well. It's a great place for guests who want to socialize, but there's also space to retreat into when you need some personal time.